Home 7 sixes 1 over Cricket Record yuvraj Singh Yuvraj Singh's world Record Broken..! Yuvraj Singh's world Record Broken..! Teenage Sri Lankan cricketer Navindu Pahasara shattered record books by becoming the first ever batsman in any form of cricket to hit seven sixes in one over, that too in front of cricket’s highest wicket-taker Muttiah Muralitharan. Navindu did the unthinkable in the final of the inaugural edition of U15 Murali Goodness Cup. Representing FOG Cricket Academy, he smashed 109 runs off 89 balls against Dharmapala Kottawa. Coming in to bat at No.3, the youngster created history by slamming seven consecutive sixes in one over, that also included a no-ball. Navindu’s heroics with the bat enabled his side to post 283/7 in 36 overs. So impressive was his hitting prowess that it even impressed Sri Lankan legend Muralitharan, who was present in the ground. 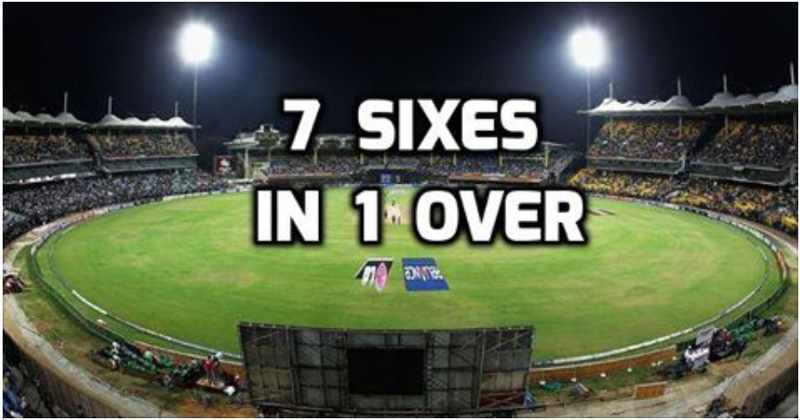 Navindu’s feat is one of a kind as there is no recorded instance of seven sixes being hit in one over. In international cricket, South Africa’s Harschelle Gibbs was the first to achieve this rare feat in the 2007 fifty over World Cup against Netherlands. India’s Yuvraj Singh then took the world by storm by slamming six sixes in the inaugural T20 World Cup against England. Apart from this, current Team India head coach Ravi Shastri had hit six sixes in first class cricket.